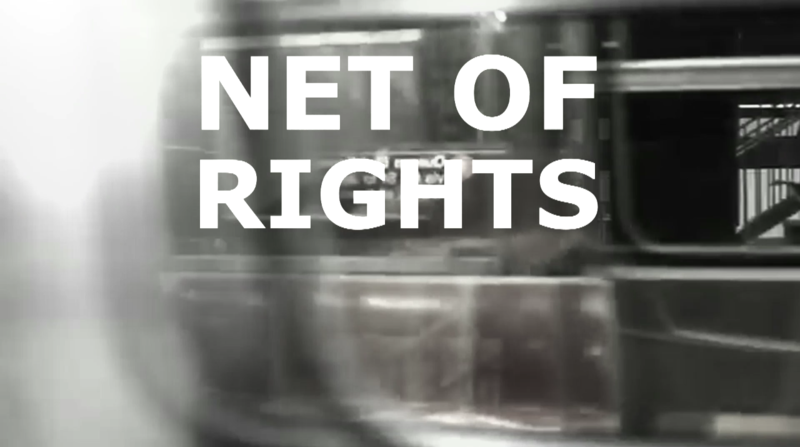 Net of Rights is a short documentary film which explores the relation between Internet protocols and the promotion and protection of Human Rights. Internet Engineers have defined the Internet as a network of networks, providing connectivity for all users, at all times, for any content. Internet connectivity increases the capacity for individuals to exercise their rights, the core of the Internet, its architectural design is therefore closely intertwined with the human rights framework. However, the assertion that technology and the design of standards and protocols is a ethically neutral task are still commonplace. The series of interviews recorded during the 92nd meeting of the Internet Engineering Task Force (IETF), held in Dallas, Texas, in March 2015, demonstrated that this belief in the neutrality of standards and protocols is starting to change. It is becoming more apparent that promoting an open, secure, unfiltered and reliable Internet is essential for the rights to privacy, expression and assembly. But how can these concepts be addressed on the protocol level? Without taking human rights into account while developing protocols, the human rights-enabling characteristics of the Internet are at risk. While the Internet was designed with freedom and openness of communication as core values, as the growth in scale and commercialization of the Internet have caused a shift in those values. The influence of such world-views started to compete with other values. The rights-enabling characteristics of the Internet will be endangered if they are not properly defined, described and protected. The reverse is also true: if we don’t protect human rights online, we risk loss of functionality and connectivity of the Internet itself. Conceived in partnership between Article 19 and Coding Rights, the movie aims to highlight the importance of addressing this issue within the technical community and human rights advocates, but also to feed into the work of the Human Rights Protocol Considerations research group (hrpc) in the Internet Research Task Force (IRTF). This group is currently mapping the relation between human rights and Internet protocols, in order to strengthen the Internet as a human rights enabling environment, in which freedom of expression through unimpeded connectivity remains a central principle and guiding force.Join the conversation at the mailinglist and #hrpc and #netofrights. This film is a collaboration between Article19 and Coding Rights. This film was made possible with the financial support from the Ford Foundation and John D. and Catherine T. MacArthur Foundation and travel support by Global Partners Digital. This film is released under a Creative Commons Attribution 4.0 International license.